Home / Our Special Offers / La Cornue Wine Cellar 900. Ex display. Available to buy in store only. The La Cornue wine cellars protect your liquid assets from heat, light, vibration and anything else that could contaminate or alter their perfect taste. 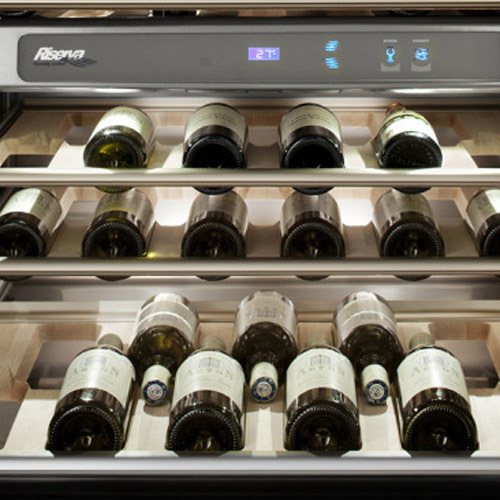 The humidity control panel in the Riserva zone recommends accurate temperature for your wine. La Cornue also offer their Wine Cellar in 600 mm form, together with 900 and 600 stainless steel or built-in refridgeration units. The refridgeration units boast three compartments with individual temperature controls, with multiple compressors and evaporators and an antibacterial finish to keep your food in peak condition for longer.